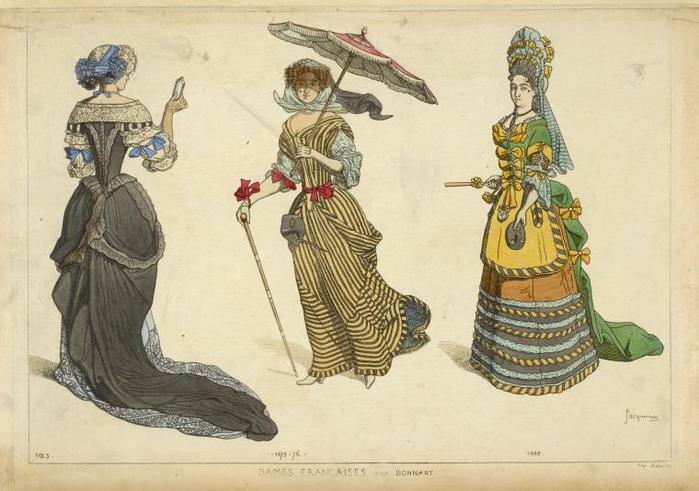 Henri Bonnart, a French painter and engraver, who published a book of costume prints. 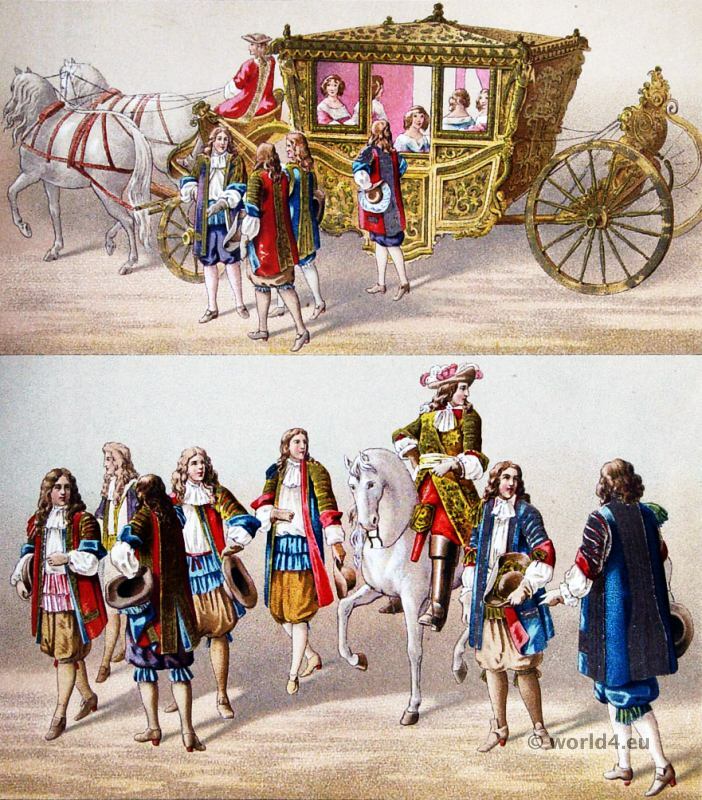 French XVII Century Costumes of Nobility. 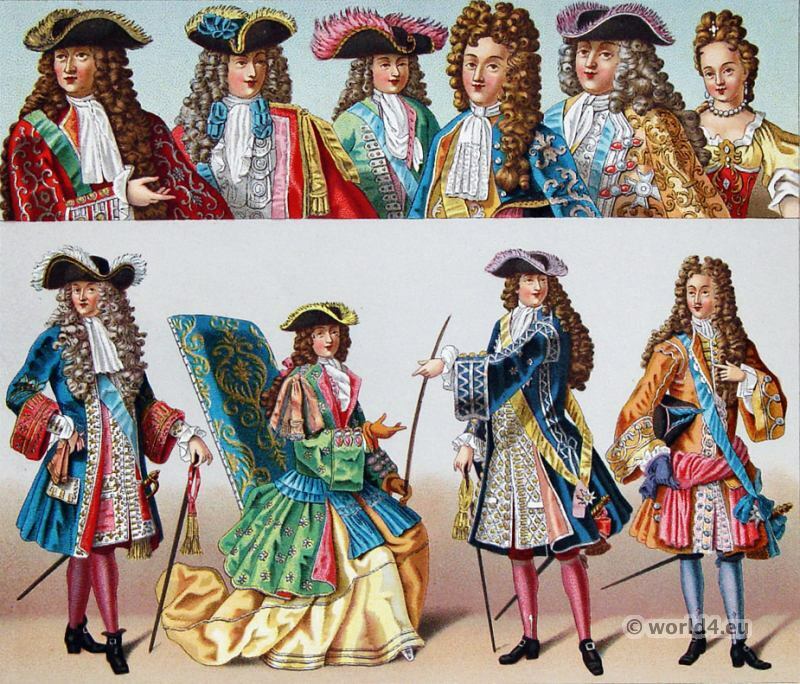 Rhinegraves are a form of breeches which were popular from the early 1660s until the mid-1670s in Western Europe. They were very full petticoat breeches gathered at the knee. 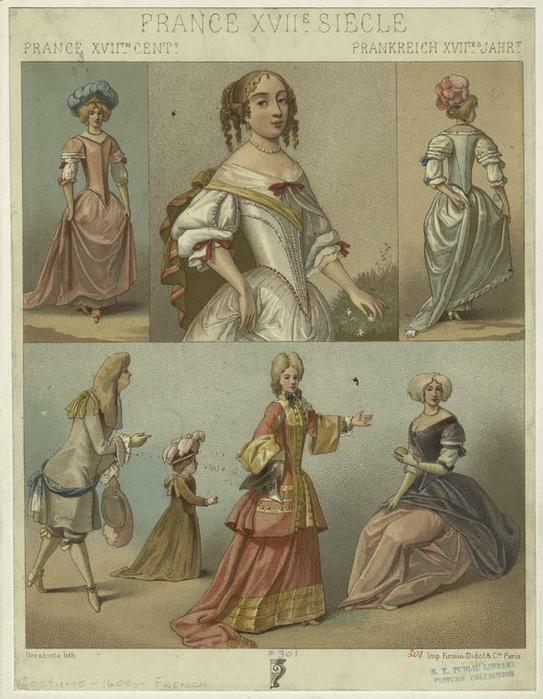 They were worn under petticoat breeches or under an overskirt which was decorated with ribbon loops around the waist and around the knee. 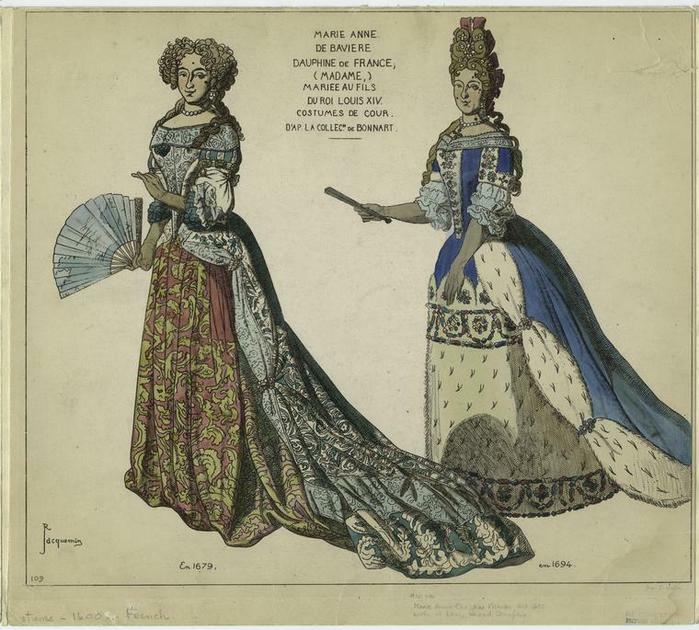 Where the knee was gathered, a large frill of lace and stocking tops added further decoration. 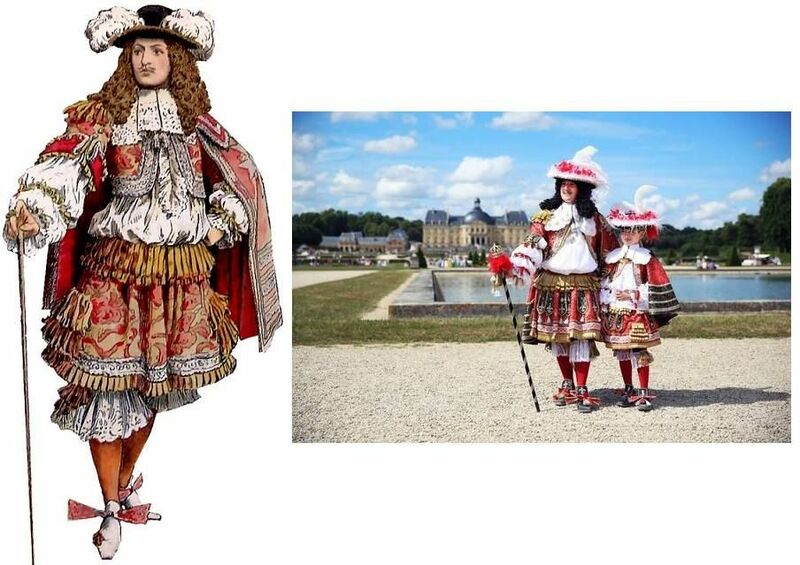 The fashion of 17 century - perfect costume with "Rhingrave" made for the festivities on the Castle Vaux de Vicomte (Foquets castle) called "La Journée Grand Siècle de Vaux le Vicomte"